1. Editorial cartoonists often use humor to make light of aggravating situations. 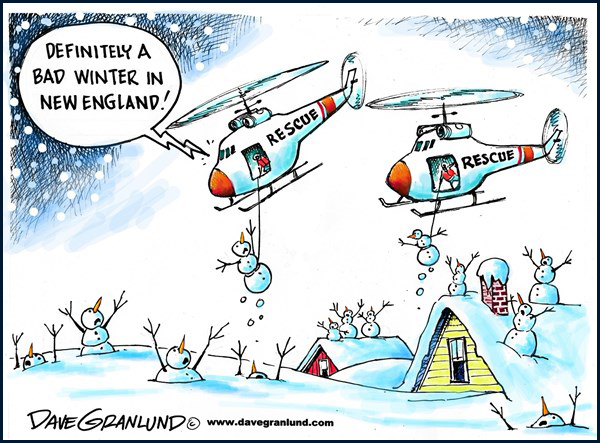 How does the cartoonist take a lighthearted approach to a the seemingly never-ending winter? — Which comic device does he use? 2. Personification is a figure of speech in which human characteristics are attributed to an abstract quality, animal, or inanimate object. In this case the snowmen need to be rescued from the deep snow they way people would need to be rescued from a flood.